When a Customer Wins, Nobody Loses, Right?! 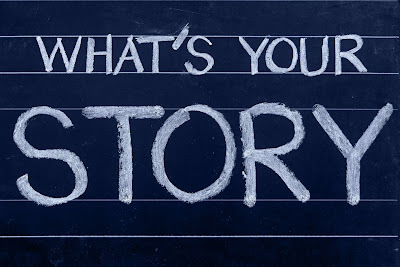 Today I'm pleased to share a guest post by Paul Laughlin, Chief Blogger at CustomerInsightLeader.com. 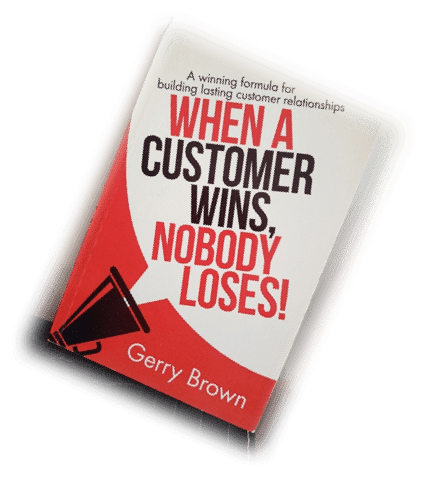 In today's post, Paul shares a book review of Gerry Brown's book, When a Customer Wins, Nobody Loses. As I’ve shared before GDPR should be a positive customer benefit. As well as being a business benefit, when approached in the right way, GDPR is at root about empowering people/customers. But, more widely, all is still not well in the CX garden. Despite what feels like a lifetime of various Customer Experience events, books, and consultants – all too often we still experience bad service. That is the theme of this latest book from Gerry Brown. I love it, and let me share with you why I think you might enjoy it too. 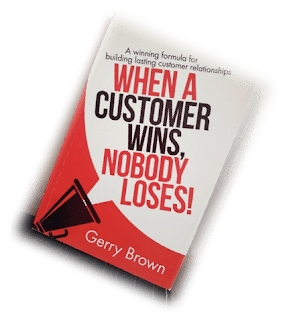 It’s funny we still need to make the case for "The Customer Wins"
The first positive to express about this book is Gerry’s candour and humour. With a gentle (mostly) and dry Canadian wit, Gerry exposes the first secret of CX: in most cases it ain’t yet working. Much of the first half of this book is a combination of calling out that "the emperor has no clothes" and sharing buttock-clenching stories of all-too-common bad service. His points are well made. Much more than fine words and strategy statements are needed to fix the most common customer irritants. Gerry has been around the block enough, to put things simply, to cut through the latest Digital-Customer Self-Actualisation jargon and to make clear the basic building blocks that are needed to get started. This he does with both practical advice on influence and strategy, followed by tackling some of the barriers you are likely to face. One of the strengths that Gerry brings to this conversation is his combination of IT expertise and people focus. This enables him to avoid two common pitfalls: too many CX speakers mislead their disciples into believing it is either all about technology solutions or all about people/culture. All businesses who’ve succeeded at CX have developed both. Gerry explains some interesting back stories to the approach of Four Seasons, amidst other brands, as well as his personal experience with one Holiday Inn. These examples help ground this book in practical examples, showing what businesses need to manage in practice, not just aspirational statements and PR. Beyond that, Gerry also engages with the work required in both technology and people departments. From cloud computing solutions and use of big data to organisational alignment and Bring Your Own Attitude. There are lots of practical tips to be picked up here. As I write this post, I’ve just suffered another frustrating experience at a Novotel hotel. This is a brand I want to like, as their design and proposition work for me – but getting the basics wrong (like air conditioning) and hearing frontline staff powerless to do anything about it – confirms so many of Gerry’s points. Technology alone will not deliver CX nirvana; you need the right recruitment, training, and examples to deliver people who care and are empowered to ensure good customer outcomes. As well as the many practical examples, from firms like John Lewis, Zappos, and Autoglass, Gerry also shares some models and theories. These help provide a framework and approach for those pushing for improved CX in their businesses. There’s more advice than I can simply summarise in this post (including the meaning of the CARE acronym at Four Seasons), but his central four are worth sharing. Culture: beyond mission statements to how organisations have got ‘customer first’ into their DNA. Commitment: from the top down, demonstrating and expecting everyone to care about and ensure good CX is delivered. Community: from public visibility to community engagement and social care benefits. Communication: keeping the CX journey alive, so everyone can see progress and ideals. Gerry also has some typically frank and useful advice on metrics, including why NPS or CES are not enough; you need to think more carefully about metrics and customer insight. Compared to so many other CX textbooks, one of the reasons that I am happy to recommend Gerry’s book is its real world pragmatism. This is a book and consultancy approach grounded in what is actually being achieved as well as problems often faced. It helps so much that Gerry continues to see things through a customer lens and complain when things go wrong. In keeping with the many examples, shared throughout this book, Gerry concludes by sharing three short case studies, bringing the challenges and principles to life in the businesses of HomeServe, Autoglass & Metro Bank. Here is a link to see the GoodReads preview for this book. Do you have any CX books that have helped inspire you or guide your work? If so, please share in the comments below and perhaps Paul can publish one of your book reviews on his blog. How do you deliver a Hero-Class® experience for your customers? It's a great question, and, fortunately, I know someone who can answer it for us. Adam Toporek, who I'm proud to not only refer to as a customer service expert but also as a friend, took some time out of his busy schedule to answer some questions for me. I'll get to the interview in a moment; let me set this up first. 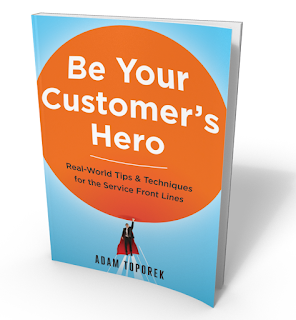 Adam is the author of Be Your Customer's Hero, a book with "real world tips and techniques for the service front lines." I'll be joining Adam (and hundreds of other folks) in Austin in October for CCWAustin, but he'll be getting on stage; I'll be on the sidelines. Before we meet up in Austin, I thought I'd ask him a few questions about the book and about his keynote at CCWAustin. Here's what I learned. 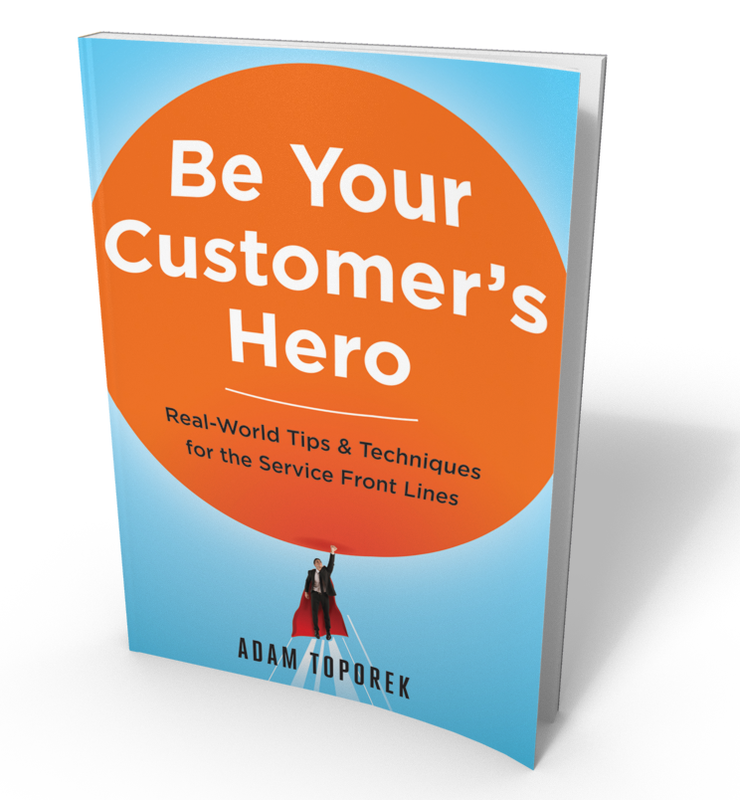 Be Your Customer’s Hero was born out of my frustration owning businesses and leading frontline employees. Coming from small business and retail franchising, I saw firsthand how frontline employees struggled to deliver great experiences. They struggled when things were easy, and they would fall apart when things got hard. And while there are a lot of great customer service books out there, I couldn’t find one that did that - so I wrote it. What does it mean to be your customer’s hero? To me, a hero is someone who is there when you need them. A customer hero is no different. To be the customer’s hero means one thing above all else: It means being there when the customer needs you and making your personal interaction with the customer as memorably positive as possible. Now, being a customer’s hero doesn’t mean you can always give customers what they want, but it does mean you always give them your focus, your understanding, and your best efforts. In a nutshell, what’s the secret to delivering a Hero-Class® customer experience? Meet and, whenever possible, exceed expectations. Provide a hassle-free, frictionless experience. Do both of the above consistently. I’ll be talking about all three in Austin, but my main focus will be on that second dimension — how we can identify hassle and eliminate it from our customer journeys. Can this concept apply to the employee experience, as well? Can a manager be her employee’s hero, or is that another book? One of the biggest surprises for me after the release of Be Your Customer’s Hero was the number of people who commented that they used it with their internal teams. I didn’t write it with that in mind, but, as you might imagine, many of the techniques that help you communicate and interact more effectively with external customers can help you do the same with your internal customers. When I talk about customer experience leadership, I talk about the strategies and techniques you need to be your team’s hero. And I’ll say this, because it relates to what we’re going to talk about at CCWAustin: One of the most important things you can do to be your team’s hero is to constantly improve the customer experience, because when a customer experience breaks down, when we fail our customers, who feels it the most? Our teams. Designing a hassle-free customer experience is an integral part of being your team’s hero. What’s your favorite tip from the book? I can’t say I have a favorite; I love all of my children equally. :) However, the tip I think that has really been revolutionary for so many frontline representatives and leaders has been to let customers punch themselves out — which, in short, means to let customers vent fully. This can be challenging in any setting but can be particularly difficult in contact centers, where agents might be focused on handle time. The reason the technique is so powerful is that it is counter-intuitive. Our natural reaction is to interrupt the customer, both to stop the venting and to offer a solution, but when we do that, we are focused on solving the customer’s problem and not resolving the customer’s feelings. And when we have an upset customer, it is the latter that is almost always the most important. Hilarity will ensue! Isn’t that what they say? My goal for every keynote is to make the audience laugh, make the audience think, and help them find one or two actionable ideas they can put to use immediately when they return to their organizations. In keeping with this year’s theme of speed and efficiency, I'm going to talk about the operational aspects of hassle, which is how we all generally approach this topic, but I'm also going to take a different approach and talk about how hassle relates to customer emotion. I'm going to delve into the “why” behind making hassle reduction a strategic priority. Plus, I’ve got a story about someone throwing up on a roller coaster you don’t want to miss. I bet Daymond John, who will be the morning keynote on the same day, can't hold a candle to that story! Customer Contact Week (CCW) is October 9-12, 2018, in Austin, Texas. If you're planning to join us there, use my discount code (2CCWA_ANNETTEFRANZ) for 20% off your registration! Adam Toporek is an internationally-recognized customer experience expert, keynote speaker, and customer service trainer who helps organizations transform their relationships with their customers through better strategy, training, and communication. He is the author of Be Your Customer's Hero, the founder of the popular Customers That Stick® blog, the co-host of the Crack the Customer Code podcast, and the creator of the virtual training course, How to Deal with Difficult Customers. I've written a lot about journey maps and journey mapping over the last several years. I've also written about the importance of data to the journey mapping process, even noting that "data has no place in journey mapping" as one of my myths about mapping. 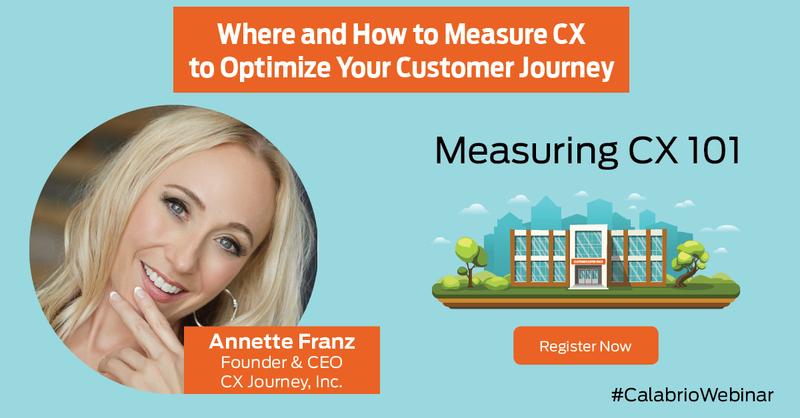 It's this last one, empathize (or walk in customers' shoes and map their journey), that I focus on in my webinar on August 22, 2018, at 11am PT/2pm ET. Now, I know you know I've done other webinars on journey mapping in the past, but this webinar is a little different in that I focus more heavily on the connection between data and mapping - and why the two are important together in order to help you optimize the customer journey. This webinar will also be more focused on the contact center experience and contact center data. UPDATE: If you missed the webinar and would like to view it, follow this link to register and view it on demand. In the early days, the team should meet monthly, but this can be adjusted over time to meet more frequently or less frequently, as needed. Attendees include CX Champions and members of the core CX team. What should be on the meeting agenda? Typically, the team will meet to discuss and showcase initiatives in order to get them prioritized and approved by the steering committee, if they haven’t already been; they’ll also provide updates on improvement efforts, issues, barriers to success, and more. The core CX team can also take this opportunity to share any feedback or learnings that they’ve received since the last meeting. And they can conduct ongoing CX training (pick a topic each time) during these meetings. Of course, the agenda should always include time for the CX Champions team to ask questions and to get their concerns addressed. How do team members communicate between meetings? There’s always email for communication, but it’s probably best to set up a shared directory where the team can find and share meeting notes, action plans, updates, journey maps, customer and employee feedback, and more. Are CX Champions empowered to make changes? Yes, they can be empowered to make changes, though they are often not the ones to actually implement change – unless it’s within their scope of work or skillset. (While I believe they should be empowered to make changes, your executive sponsor and steering committee will be the ultimate decision makers on this.) Regardless, they must be provided with the guide rails – based on the overall CX vision and strategy – within which they can design and implement changes. Keep in mind that they will need ongoing guidance and direction. It’s not a “set and forget” program. Champions need to be trained, informed, and part of the team. They need to be supported, and they need to be able to discuss challenges, barriers, and successes with the other committees of the governance structure. For how long do they serve as CX Champions? Some organizations engage their CX Champions for two-year terms. I suggest keeping the first CX Champions on the team at least long enough to gain a foothold in the transformation, which tends to be about two years. The key is, after they rotate out, that they really continue on with the new way of doing things, not going back to how things were two years ago. It’s a learn and live role! In addition, consider setting up staggered tenures in order to keep continuity over time. CX Champions need to be trained upon accepting this role. On what do I need to train them? These are simply ideas and recommendations. You will determine the scope of what you want your CX Champions to do and how deeply you want them involved in each of the listed items and the six competencies. Remember that they are an extension of the core CX team; they are your eyes and ears on the ground. They can be hugely helpful in a lot of these areas. 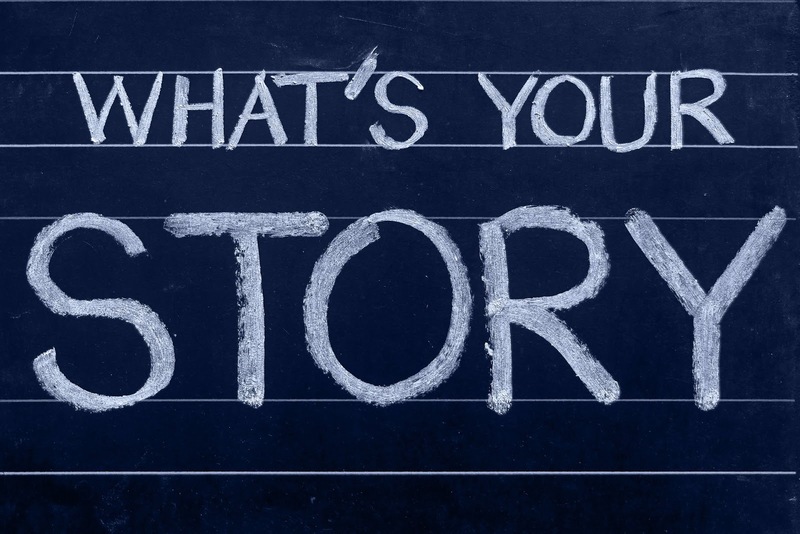 Equip the CX Champions with the change story. And storyboard the intended experience in order to illustrate it for them; this also makes it easier for them to take it back and explain it to their departments. At the same time, guide them on how to best model the customer-centric behavior you expect from the company and provide those guard rails and guidelines for how to diagnose, design, and implement changes. You will be communicating with – and training – the CX Champions on an ongoing basis. While they are an extension of the team, treat them as part of the team; when you do, they will embrace their roles and kick off that organization-wide groundswell that is necessary for any customer experience transformation journey to succeed. This two-part series provides general guidelines on how you’ll set up your CX Champions team. While your approach may vary, just be sure to provide the knowledge, the guidelines, and the support to ensure that your Champions can rally their colleagues and be change agents on your CX journey. Do you have a governance structure in place for your customer experience transformation efforts? If not, it’s time to get that done! Not having a governance structure is one of the 7 Deadly Sins of Customer Experience. Without a governance structure in place, you perpetuate silo thinking and fail to achieve cross-functional alignment, involvement, and commitment. Why? Because a governance structure is about oversight and execution. It outlines people, roles, responsibilities, rules, and guidelines when it comes to executing your customer experience strategy. Changing the organization's DNA to be more customer-centric is not a journey for one person to undertake; this is an organization-wide effort. As such, the governance structure is critical to the foundation of any customer experience transformation. It outlines who will ensure that there is alignment and accountability across the organization, and it defines roles and responsibilities key to the transformation, including a core CX program team, an executive sponsor, an executive/steering committee, and cross-functional champions. It’s this latter group – the cross-functional champions – that I’ll focus on now. To simplify, I’ll call them CX Champions. What is a CX Champion? A CX Champion is an employee who is engaged, loves the business and loves customers, and is enthusiastic about delivering a great experience for your customers. She knows the company’s vision, mission, and purpose well, and she lives the core values every day. She understands the CX vision, believes in the outcomes, and is committed to be a part of the transformation. What other traits or qualities do CX Champions have? They are well-respected and are often recognized as role models when it comes to customer service and customer experience. They are team players, work well with others, and have – or can build – strong cross-functional relationships. They are excellent communicators. They are influential in their departments and, perhaps, across the organization; they know people, the right people. They are leaders and add credibility to the transformation effort. They might or might not be managers, but they certainly have deep knowledge of their functional areas and how they mesh with other areas of the business, and they can hold others accountable for the work that needs to be done. They may have experience successfully executing change initiatives. And they are flexible and willing to learn. That’s a lot! No, they are not unicorns. Trust me – these people exist in your organization! What does the CX Champions team look like? They are referred to as cross-functional champions because there should be representatives from each department on the team. This helps break down silos and allows for each department’s voice, feedback, and perspectives to be brought to the team and heard. How many team members are there? That depends on how many cross-functional departments you have. And if you’ve got multiple business units, is there a corporate shared services group from which you can pull folks? If not, be sure to get business unit representation, too. If you’ve got global office locations, you’ll want to consider representation across the globe. Who does the CX Champions team report to? Within the governance structure, the CX Champions team ideally reports to the core CX team, but they also get guidance and direction from the steering committee, who prioritizes and approves the various change initiatives on the docket. Why do I need CX Champions? There's a great quote from Benjamin Franklin that's so fitting here: Tell me and I forget. Teach me and I may remember. Involve me and I learn. Get employees involved in the process. When that happens, they feel like they're a part of it. Don't just force change on your employees; give them some ownership in the change. They'll be more accepting of it, without a doubt. The core CX team can’t make the changes happen. The changes must be activated by your base, throughout the organization, by the people who are delivering the experience that needs to be improved. You’ll need folks who can take data and insights and operationalize them within their departments; they know best what needs to be done and how any changes or improvements connect to – and affect – other departments. How do you find CX Champions? There are at least two approaches to finding CX Champions. (1) You can set some parameters (see the traits outlined previously) and ask for volunteers; or (2) you can accept nominations based on those same traits, e.g., reputation, well-respected, team player, easy to work with, leader, change management knowledge or experience, department and inter-departmental knowledge, etc. What is the CX Champion’s role? CX Champions are change agents! They aren’t expected to do the work (though they might) but to influence and to motivate others. They facilitate and champion change initiatives. They are an extension of the core CX team because the core team is typically small and can’t be everywhere and do everything – and don’t have the cross-functional or departmental expertise or rapport/connections to get things done. 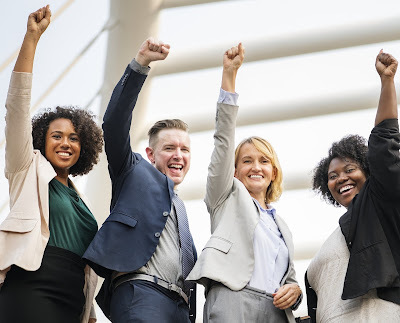 CX Champions are the voice of the customer and the voice of the employee; they advocate for customers and for employees and bring their voices to the core CX team and to the steering committee. Communication with CX Champions is a two-way street: (1) they share feedback, insights, quick wins, and successes from the core CX team with their departments, but (2) they also share feedback, insights, learnings, quick wins or successes, changes made, etc. with the core CX team. That sounds like it takes a lot of an employee’s time. Does it? This role could take up about 20% of an employee’s time, but quite honestly, in the end, isn’t it all about the customer and the customer experience?! That’s what their jobs are, day in and day out: to serve the customer. Being a CX Champion translates to a more-focused and more-deliberate way that they work going forward. For some, this role could take up a lot more time, maybe up to 50%, depending on the severity and the volume of issues, etc. In other words, how bad are things really? Don’t short change on time if that’s what is needed to get the job done right, right now. In the second-part of this series, I'll answer questions about team meetings, empowering the CX Champions, and what training they'll need in order to take on this role.